Part I of this post covered the first decade (1941-51) of the FBI’s interest in the Jaunceys. This part completes the story, covering the years 1953-55. There is more background in Part I, including material from our ‘Jauncey’s view’ archive. As we reminded readers last time, Leslie Cyril Jauncey (1899-1959) has been a fellow traveller in the Honest History enterprise almost since the beginning – though, we agree, he has been taking it easy for a while. 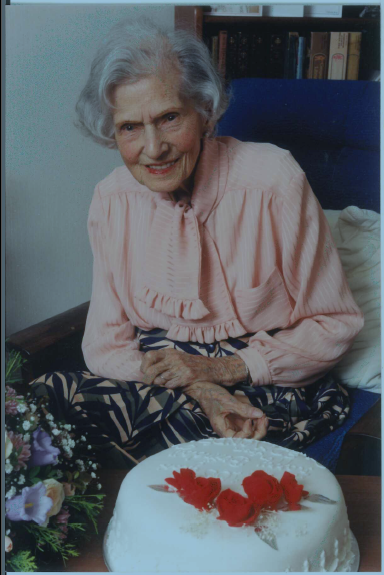 Along for the ride – or probably more in the driver’s seat – has been Beatrice Eva Edmonds Fripp Jauncey (1895-1996), who married Les in 1934 and actually called him ‘Bill’. ‘LESLIE CYRIL JAUNCEY resides at 202 7th Street, Seal Beach, California. He is unemployed. He apparently has been a writer and has authored books published in Australia on Banking in Australia and on Conscription in Australia. He is of the white race. JAUNCEY is married to BEATRICE EDMUNDS JAUNCEY. They were married in England in 1934. She reportedly is the daughter of the wealthy TOMBS family of Australia [sic; an error]. She is a housewife. Mrs. JAUNCEY is of the white race. It has not been established that JAUNCEY is a member of the Communist Party. Information indicating his interest in the Communist Party as far back as 1921 has been received. However, there has been no proof of any actual party membership. Referenced report of SA [Special Agent] EDWARD J. KIRBY sets forth information that JAUNCEY told an acquaintance of his in 1949 that he was carrying a message from Australia to the lawyers of HARRY BRIDGES in San Francisco. This office has received no indication of the present sympathies of the subject. Informants have reported no activity on his part. It is expected that interview of the subject, if authorized by the Bureau will result in the development of background information concerning the subject and his wife. Some indication of his present sympathies may be developed. In the event he is cooperative, it may be possible to determine whether he has operated as a courier for the Party. At that time, JAUNCEY was quite young. T 1 recalled that subject advised him that on his arrival at Davenport and being greeted by his (JAUNCEY’s) brother, Subject had immediately asked, “What do you think of Lenin and Trotsky?” T 1 recalled he had discussed the affairs of the Russian Revolution with JAUNCEY at that time but only because it was in the news and he had obtained no impression of Subject’s political sympathies. T 1 related that in about July, 1949, during the prolonged waterfront strike of the International Longshoremen’s and Warehousemen’s Union of Honolulu, T.H. [Territory of Hawaii], Dr. JAUNCEY and his wife arrived in Honolulu aboard the AORANGI on their way to the United States. JAUNCEY had looked up T 1 and during the visit told T 1 he was carrying a message from Australia to the lawyers of HARRY BRIDGES in San Francisco and they had instructed him not to talk to anyone on the boat. T 1 stated JAUNCEY had not explained the identity of “They” or the content of the message in question. 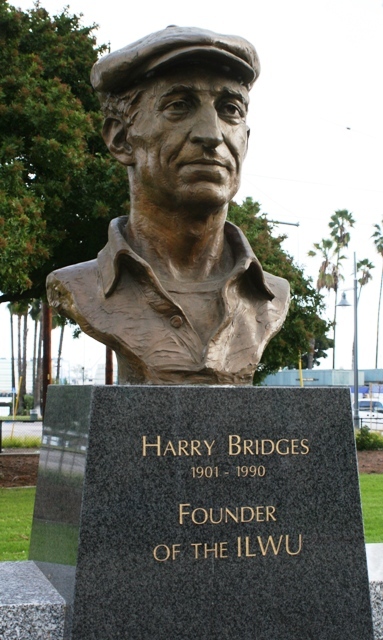 HARRY BRIDGES is President of the ILWU. Confidential Informants T 6 and T 7 of known reliability who are familiar with Communist Party Activities in the area in which the subject resides advise they do not know JAUNCEY and cannot recall of having heard of him. Bureau authority to interview the subject is being requested by separate Communication. ‘Synopsis of Facts: JAUNCEY interviewed 6/12/53. He advised he is not and has never been a member of the COMMUNIST PARTY or a member of any “front organization.” He states he has never favoured Communism at any time. He states he believes in teachings of JESUS and is pacifist. He continued he is and has always been opposed to war in any form and his statements and activities have been directed in this direction. JAUNCEY states he visited Russia in 1935 for period of six weeks for purpose conducting private research on financial matters but gave up project because of language barrier. JAUNCEY stated he does not feel he has been in any way disloyal. Concluded he has had serious heart condition and that except for his health he would now be back in Australia. States he anticipates return to Australia within next twelve months. 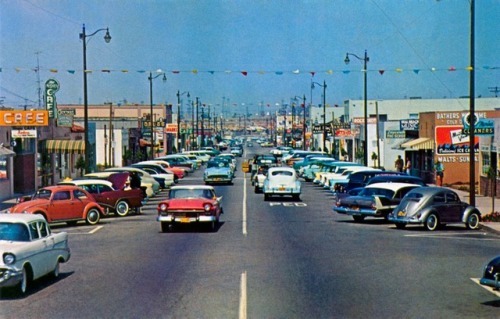 AT SEAL BEACH, CALIFORNIA LESLIE CYRIL JAUNCEY was interviewed in the presence of his wife at his residence, 202 7th Street, on June 12, 1953. JAUNCEY advised that he is not and has never been a member of the COMMUNIST PARTY or of any “front organization” of the COMMUNIST PARTY. 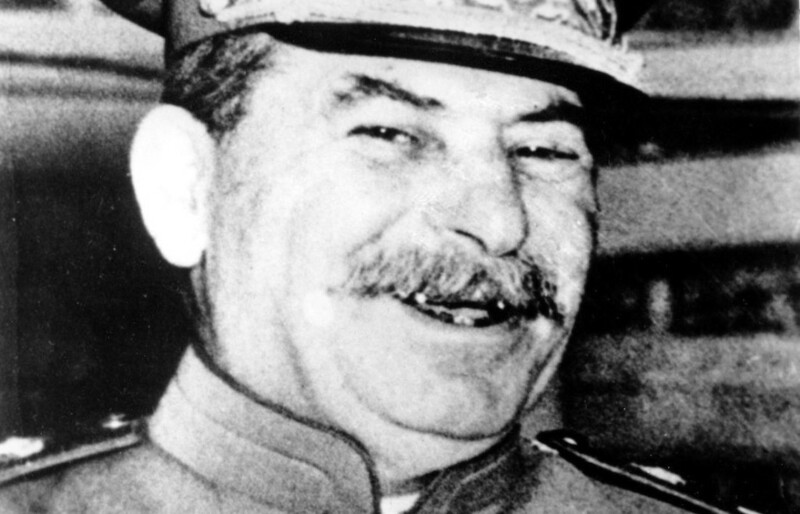 He stated that he never favoured Communism at any time. He alleged that he has never at any time acted for any organization which was opposed to the form of government of the United States or the form of government of Australia. He stated that he had never been approached by anyone representing either the COMMUNIST PARTY or the government of a foreign nation to do anything contrary to the best interests of either country. JAUNCEY stated that he has never done anything opposed to the government of the United States. He related that once, while associated with the Christian Science Monitor [he was asked] to do a survey of “Feeling and Sentiment” in Australia toward the United States. He assumed that this was for the American State Department. JAUNCEY advised that he believes in the teachings of JESUS and has always attempted to live by those teachings. He continued that he is and has always been a pacifist. He related that he was opposed to World War I, World War II, and to the present conflicts. He states that this had always been his belief and he sees no reason why his attitude should change in any respect. He stated that he desired to point out that his attitude was anti-war and pacifistic prior to June 22, 1941, and that he continued to be such after June 22, 1941. He stated that this was the day that Germany attacked Russia and the day the Russian policy and the COMMUNIST PARTY line changed [from] “peace” to “war”. He cited this as the strongest indication that he is not pro-Communist. JAUNCEY stated further that he has actively written and spoken in behalf of Pacifism. He continued that his writings and statements will reflect that he is opposed to war in any form. He stated further that his writings and statements will reflect that this has always been the case with him. JAUNCEY stated that he visited Russia in 1935 for a period of six weeks. He landed at Leningrad and went to Moscow. He went to Russia for the purpose of conducting research on financial matters. This trip was taken entirely on his own initiative and was not sponsored or financed by any individual or organization other than himself. JAUNCEY related that the trip had no other purpose except for that stated. He advised that he gave up on the research project in Russia because of the language barrier. JAUNCEY stated that he does not feel that he has been in any way disloyal to the United States or to Australia. He indicated that he is still a citizen of Australia. He related that he is a total non-entity in the United States but is well known in Australia. He stated that he has written a number of books on banking and on financial matters in Australia and that his book on banking is a text book on banking in that country. He went on to say that he wrote a book on conscription which may be found in the public libraries throughout the world. This book states his opposition to conscription and to war. 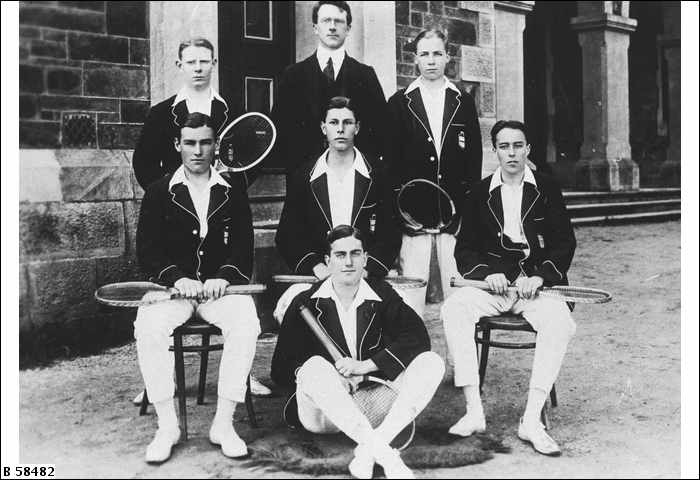 JAUNCEY stated additionally that he numbers members of Parliament in Australia, a former prime minister [sic; HV Evatt] of Australia, who became an important official of the United Nations, and other prominent government officials in Australia as his friends and correspondents. JAUNCEY advised that of recent years he has suffered from a serious heart condition. He continued that the chiropractor who had been caring for him had recently committed suicide. He stated further that there are only two chiropractors in the world that he knows of who can treat his condition; one is in Florida and one is in Australia. He stated that because of his health condition he must make a move within the immediate future. Because of this, he has started negotiations toward getting an Australian passport. He does not know yet whether he will leave this country or go to Florida. JAUNCEY stated that, were it not for his health, he would be in Australia now. He continued that he anticipates returning there within the next twelve months at the latest for his health. JAUNCEY indicated, although he did not say so directly, that he did not intend to return to the United States once he returned to Australia. JAUNCEY is described as follows: Name LESLIE CYRIL JAUNCEY; Age 53 years (1953); Height 5’8”; Weight 155 pounds; Hair Grey; Eyes Grey; Complexion Ruddy; Scars & Marks None apparent; Accent English; Voice High-pitched; Marital Status Married, wife BEATRICE; Residence 202 7th, Seal Beach, California; Occupation Writer. One copy of this report is designated for the information of the San Francisco Office in view of the information received that the subject acted as a courier to HARRY BRIDGES. The Bureau, by letter dated April 27, 1953, authorized interview of the subject. The Bureau instructed, however, that determination should be made that an interview would not be injurious to his health prior to the interview of him. Mr. JACK HALEY, Letter Carrier, Seal Beach, California Post Office, advised that JAUNCEY had been up and around the last two months or more. HALEY stated that JAUNCEY had told him on June 11, 1953 that he was feeling much better and was recovering his health. HALEY advised that the only immediate neighbour of JAUNCEY’s with whom JAUNCEY had contact is a Mr. HAUSMILLER, the owner of the property in which JAUNCEY resides. LEE HOWARD, Chief of Police, Seal Beach, California, advised that the apartment in which the subject resides is at the opposite corner of the block from the police department. 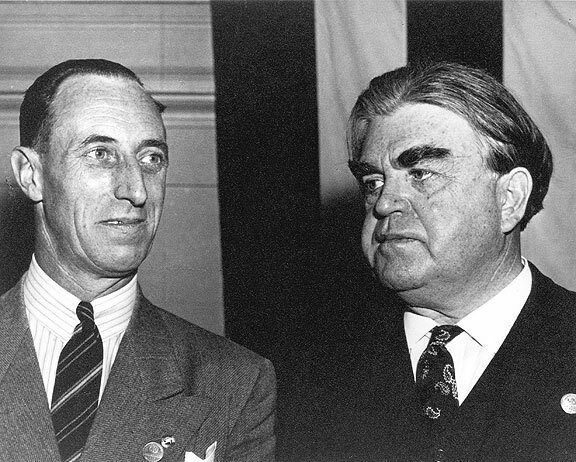 HOWARD advised that he is very sceptical of HAUSMILLER and would not question him about anything that should not go back to the party in question. JAUNCEY was observed on June 11, 1953. He walked and acted like any normal individual. There was no indication that his physical condition was such that an interview should not be conducted. Mrs. LESLIE CYRIL JAUNCEY was contacted on June 12, 1953 by SAs WILLIAM N. KIDWELL, Jr. and the writer. She advised that JAUNCEY was available for interview and that the condition of his health would not prohibit such an interview. Interview of JAUNCEY was terminated without effort to obtain background information or greater detail concerning his past activities following his reference to his heart condition and to his statement that his heart was beating fast. He indicated that this condition at the time of the interview was in no way unduly affecting or exciting him. However, it was deemed advisable, since he brought up the matter of his health, to terminate the interview. It does not appear advisable to attempt further interview of JAUNCEY in the future. In view of JAUNCEY’s health and in view of the fact that there is no information available placing JAUNCEY in the COMMUNIST PARTY, it is not recommended that his name be included in the Security Index. Reference: Report of SA EDWARD J. KIRBY, San Diego, 3/31/53. San Francisco T-2, of known reliability, advised on February 8, 1954, that he had known the subject in 1941 …. JAUNCEY, who was known to the informant as Bill JAUNCEY spoke often of Russia, where he had lived for some time. He mentioned he had lived for a time in Germany and told the informant he was greatly impressed by Russia and he often spoke to the informant of their economic system and how ideal he thought it was …. T-2 advised that on this occasion JAUNCEY condemned the United States and their policy in Korea and throughout the world. He stated that the United States had started hostilities in Korea. He stated that he had not become a citizen of this country for then he might have had to take up arms. T-2 stated that JAUNCEY said he liked the United States to live in but liked other countries to live in much better than this country and mentioned Russia and Germany as examples. San Francisco T-3, of known reliability, advised on August 1, 1954, that this subject is not known to this informant to be active in Communist Party activities in San Jose. San Francisco T-4, of known reliability, advised on August 11, 1954, that this subject is not known by the informant to be active in any front group activity in Santa Clara County. … contacted SA ORVILLE F. MCVAY on December 28, 1954. …. He said that in the past he has furnished information to the Bureau concerning L. C. JAUNCEY, who, … had confided in him during the late 1930’s that he, JAUNCEY, was an official of the Communist Party. He said he is not sure that he has furnished the Bureau with the following information and thought that since he has in the past week come into possession of subject’s present address, that the information might be valuable at this time. … said that during the late 1930’s … JAUNCEY requested and received permission to store a sealed cardboard carton in the attic of … residence. He said that when JAUNCEY left Washington he picked up the sealed carton. Appendix: did Jauncey know what was going on? And that is where the FBI file ends. But, a question remains: how much did Les (Bill) Jauncey know about the FBI’s interest in him? Clearly, being questioned directly by FBI Special Agents would have given him a strong hint that the Bureau had him on a list of some sort. Les Jauncey died on 12 March 1959 in San Jose, California, just three months after his 1958 letter to Dr Evatt. Bee Jauncey died in 1996 in her 101st year.